Starring: Gael García Bernal, Luis Gnecco, Mercedes Morán. Film Summary: Inventive, intelligent, and beautifully filmed, Neruda transcends the traditional biopic structure to look at the meaning beyond the details of its subject’s life. 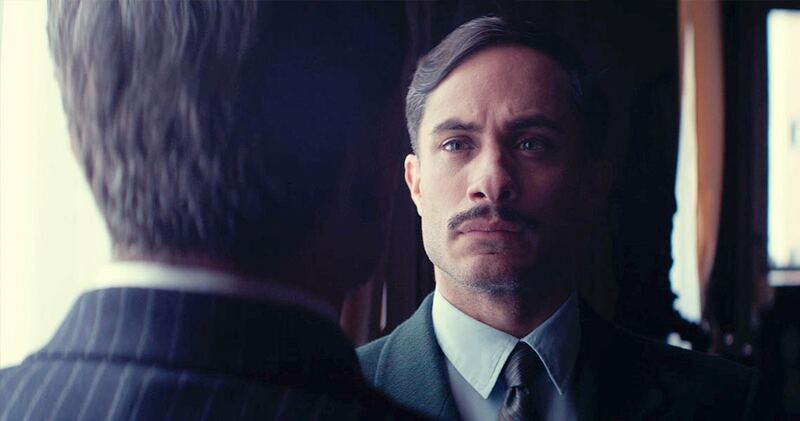 Nobel Prize-winning poet, statesman and communist Pablo Neruda (Luis Gnecco) plays cat-and-mouse with his police inspector nemesis (Gael García Bernal) in NERUDA, one night only on Sunday, March 5th in Cinema Falls. In this story of a persecuted poet and his obsessive adversary, Neruda recognizes his own heroic possibilities: a chance to become a symbol for liberty, as well as a literary legend. From Pablo Larraín, director of the Oscar-nominated films JACKIE. Join us for this Academy Award shortlisted film with enrichment from Augustana University facutly Dr. Pilar Cabrera Fonte and Dr. Patrick Hicks (Writer in Residence) including readings of Neruda’s poetry in English and Spanish.